Yep, an entire intro justifying the old photos I’m using. I work hard for this stuff (And the money, So HAAAARD FOR THE MUNEH! ahem, sorry). In fact I bleed for this blog. Late to the part is Red Pesto. Because that’s just what Red Pesto does. He’s a loner, Dottie, a rebel! You don’t want to head where he’s headed! He’s a private eye, a crooked cop, a secret agent and a celebrity pharmacist! That guy is Red Pestoooooo! Red Pestoooo! RED PESSTOOOOOOOOO! That felt GREAT. This? Didn’t. This is a Mandolin. 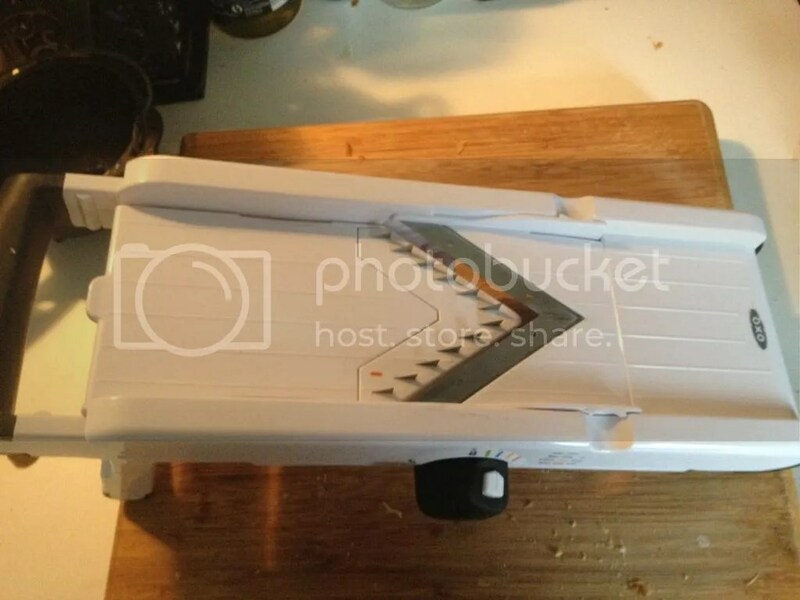 It’s a device designed to help you chop things at the same thickness. It’s white and clean and utilitarian. IT HAS TASTED OF MY BLOOD AND WOULD LIKE TO DO SO AGAIN. You will push it through. Once, when I was younger and very bored I was curious whether a stapler would still staple if it didn’t have the baseplate to push against. 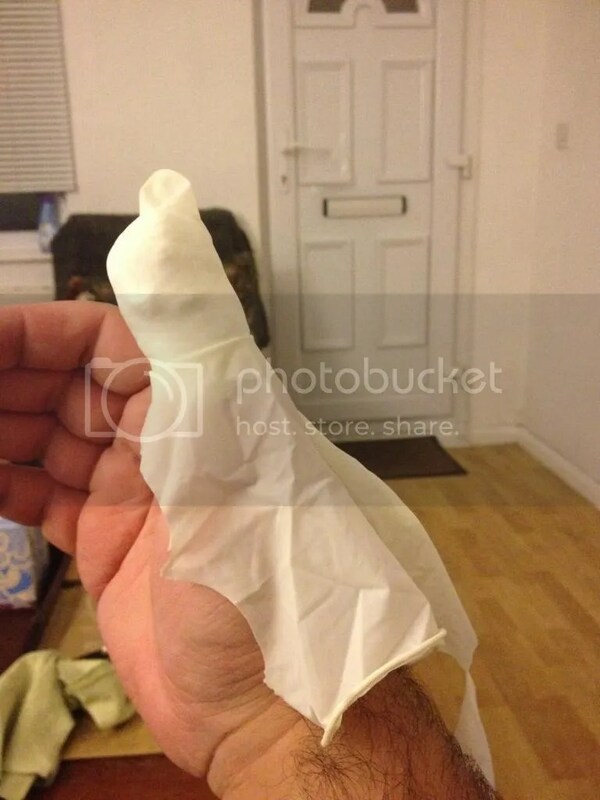 Turns out the fleshy part of my thumb worked just as well. A few years later, I was curious as to whether if I stuck my thumb between the electrodes on a standing lamp and turned it on, the electricity would conduct. Then, 18 months ago, I thought the best possible thing to do would be jam my thumb against the razor sharp death blades to make sure another 2cm piece of sweet potato came out okay. The conclusion here is obvious; I hate my thumb and need to punish it. Also I’m doing entirely too good a job and need to STOP. 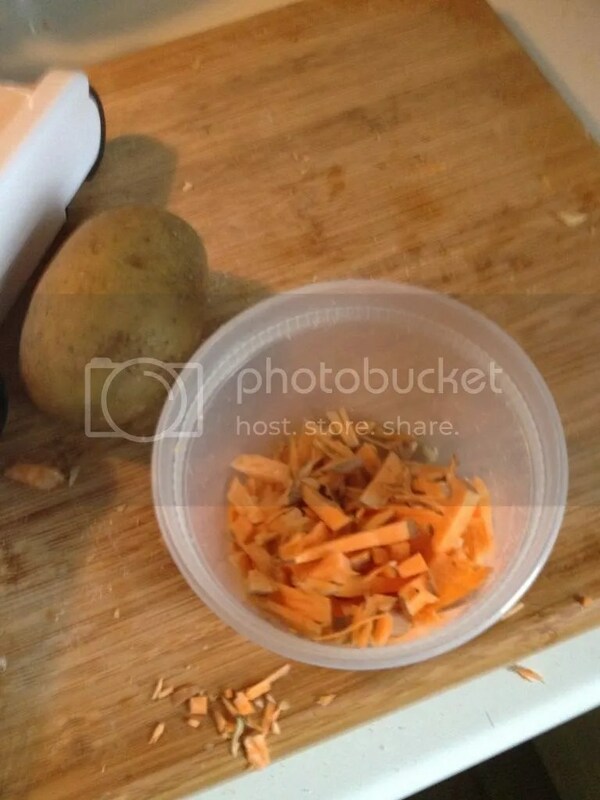 So, once the evil sweet potoato, and judging by this photo, potato, shards are done you have two options. The first is to coat them in oil and soft bake them for about half an hour, roast potato style. The second is to fry them in chunks. I think that’s what we did although I have no photo to commemorate it. Or maybe do and deleted it due to blood loss. Anyway, the deep fry option works surprisingly well. It’s a little time consuming as you need to do them in small batches but it’s quite fun. Get the oil heated until it’s bubbling them slide a chunk of the shards in. Give them about a minute more than you think they need, then pop them out onto kitchen paper and hallucinate a squash because of self inflicted thumb wounds. Fish! 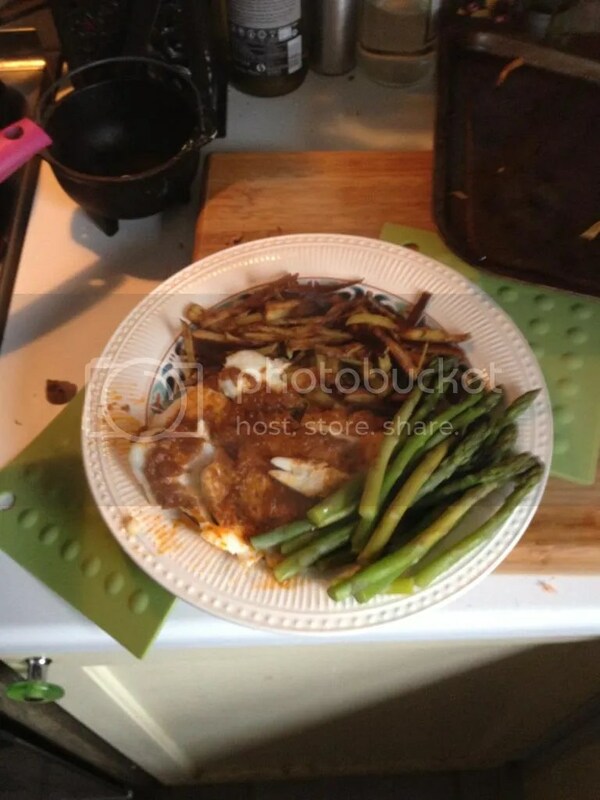 There’s fish in this meal and asparaguses! So, the asapragi first; boil some water, put them in until they go dark green, remove them. 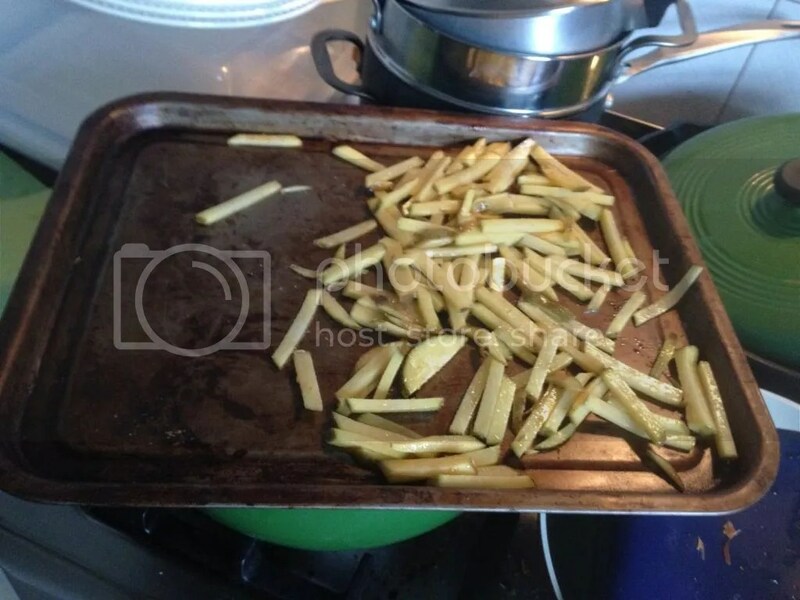 Or, if you’re all fancy, then put them in a steamer above the boiling water and do the same. The dark green’s important though; you get them to that colour then they taste of things while at the same time not having the consistency of bamboo. Angry bamboo. That probably wants to slice your thumbs up. Fish! This is dead easy. Pre heat the oven to 200 degrees, the magical temperature that cooks basically everything that isn’t large chunks of animal in around 20 minutes. While you’re waiting, pop the fish on a tray, ideally on a silicon baking sheet, and paint them with Red Pesto, two fisted nazi smasher and adventurekateer. An important note; you’ll think you need all the Red Pesto. You are the World of Wrong. If you were a mineral you would be NoSeriouslyWhyAreYouUsingThatMuchRedPrestobtainium. 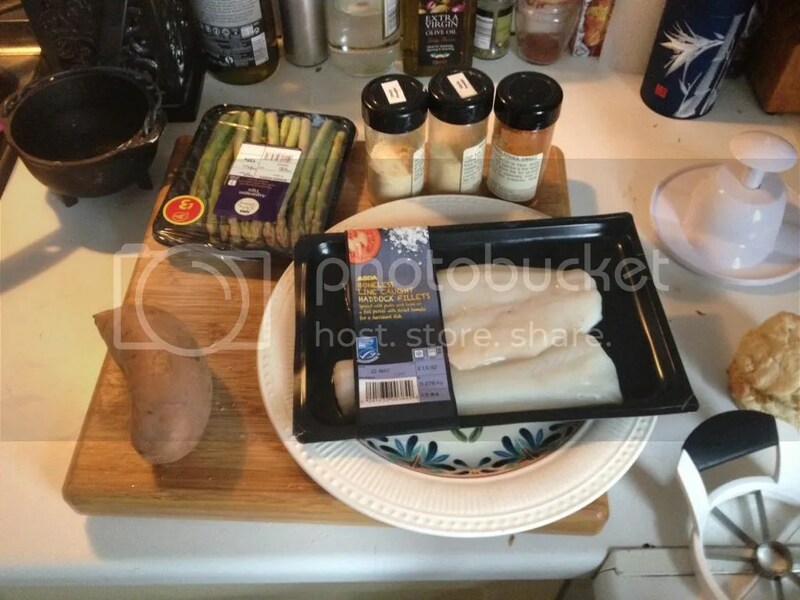 Do not use more than a tea spoon (or two in this case I think) for each piece of fish. Then, in the oven they go, for 20-30 minutes while you boil your asparagus, fry your potatoes and idly wonder which relatives are the same blood group. Well, actually a lot like that. It’s a great meal; protein heavy, some decent carb load too and easy as all Hell to make. Seriously if you want to de fancify it, then swap out the fries for sweet potato mash, couscous, Quinoa or their little know relatives QuinoaQuinoa, CousQuinoa and Quinoacous. Again, probably making those up. Again, injury. Witness. -Mandolins enjoy the taste of human flesh. 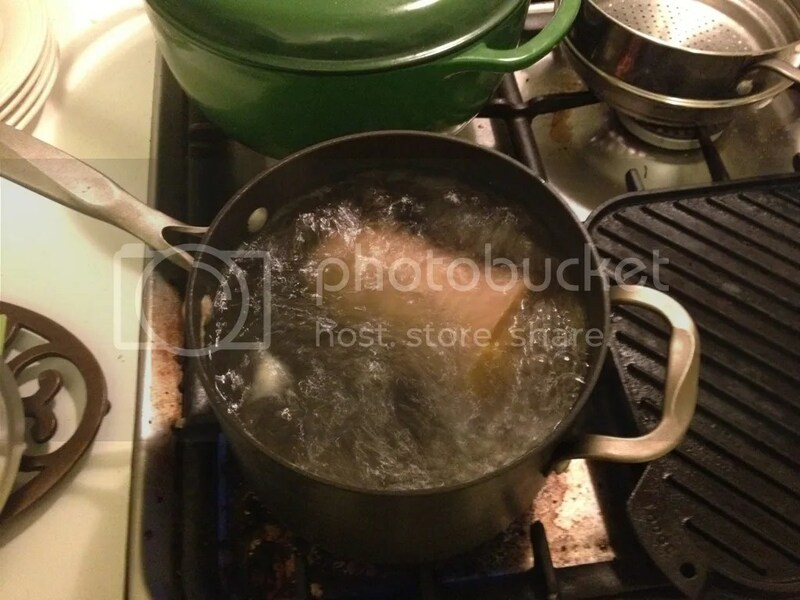 -Deep frying is time consuming and slightly dull. 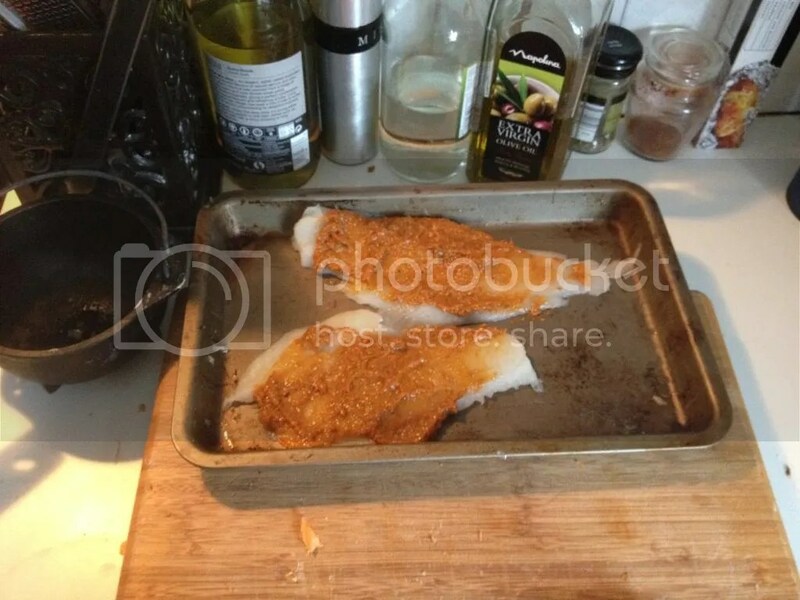 -Red Pesto Fish is delish!Ous!